What happened to Wookie the cat? I had a couple folks ping me about Wookie (our cat). None of our road trip posts discussed the cat – so what happened to Wookie? We decided not to drive down with the cat. We thought it was just gonna be too much to have us, 2 dogs, and the cat in the small Jeep for 5 days. Instead, we came up with Plan B. We asked ourselves – how much would we pay to not have to drive down with the cat? Would we pay a few hundred? Yes, we would! We have a friend (Glenn) in Austin, and he held onto Wookie for a week, and then we paid for his plane ticket down to Cancun, along with the airline pet fees. It was great for us, as we didn’t have the cat in the car for 5 days. It was great for Wookie, as she only had 1 short travel day, instead of 5 long ones. And it worked out great for Glenn, as he got a free trip to Mexico. Plus, we got to hang out with our buddy Glenn in Puerto Morelos for a couple of days. 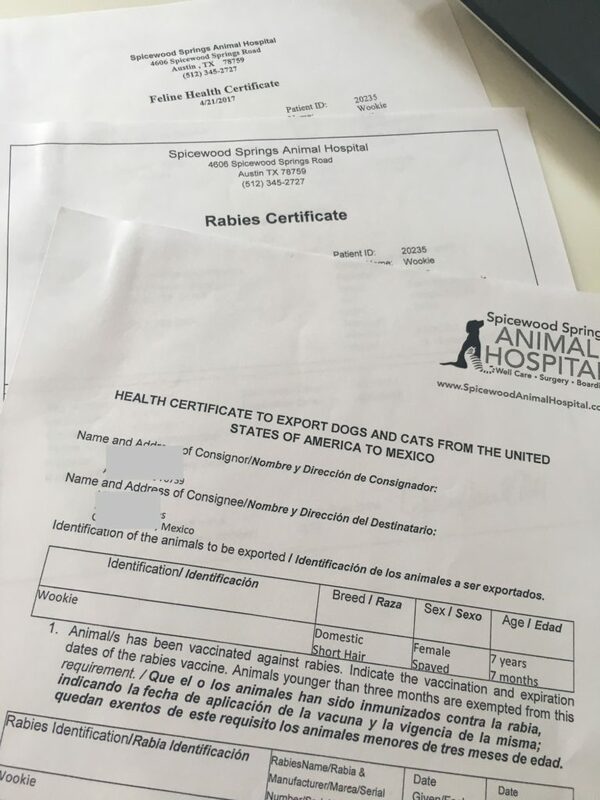 We provided Glenn with the cat’s health certificates and rabies documentation, and we also typed up a letter stating that we were allowing Glenn to transport our cat to Mexico. I have no idea whether that letter was necessary or not. No one asked him for it, but we figured it was better to be safe that sorry. According to Glenn, as he entered Mexico at the Cancun airport, they made him do a brief stop so that Wookie’s paperwork could be checked. Everything was in order with her health certificates, and then they were welcomed to Mexico. Easy peasy. On the Feline Health Cert, under behavior assessment, it said: Fractious, does not like to be handled. Yep, that sounds like Wookie! 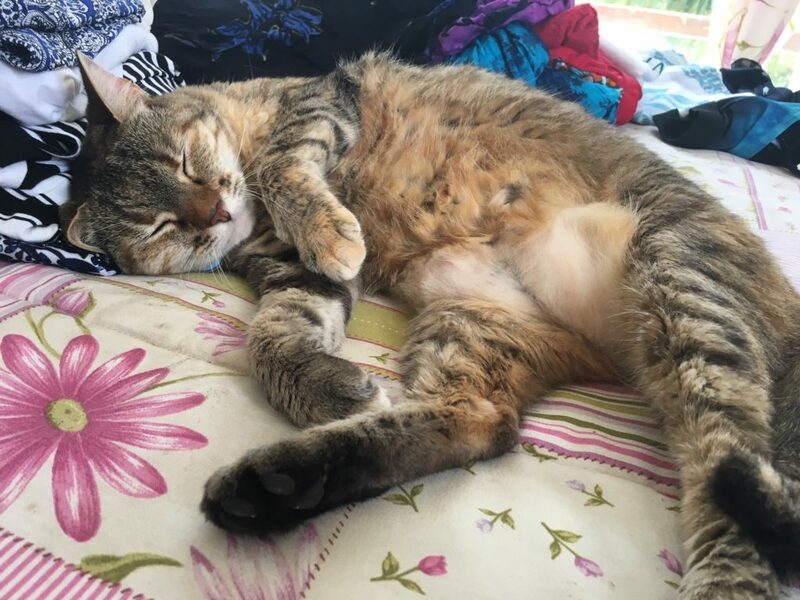 Wookie seems to be settling in to her new home just fine. 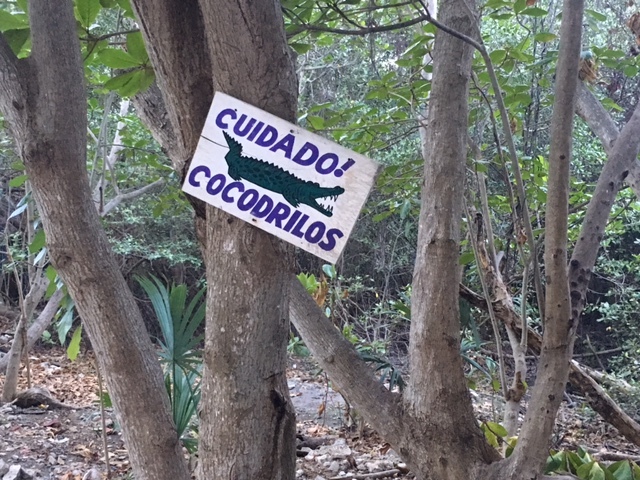 We just need to be careful that she stays away from the mangroves, where the crocs like to hang out. Steffany – not sure yet. We went to Chedraui this week, and at first glance, all we saw was Purina pet food. We’re planning on going to Costco within the next week or so, so we’ll see what they have. 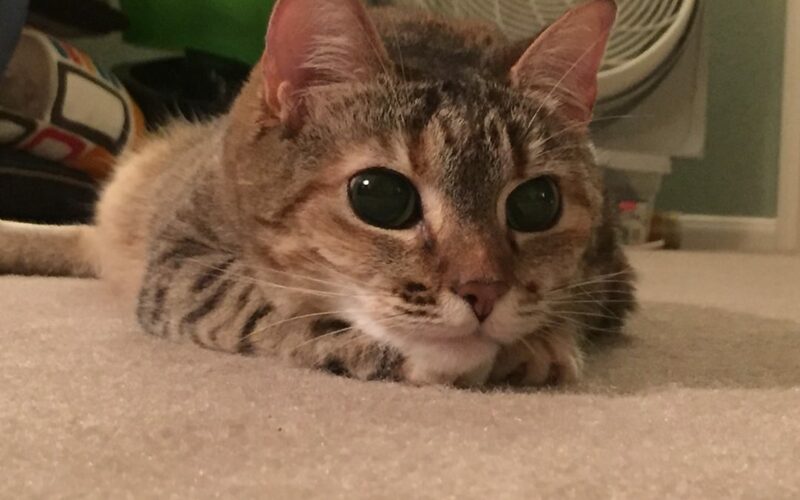 She’s an expatcat! If you’d like another cat, I’d be happy to rescue one and bring it down for you…. ExpatCat! Ha! I like it!